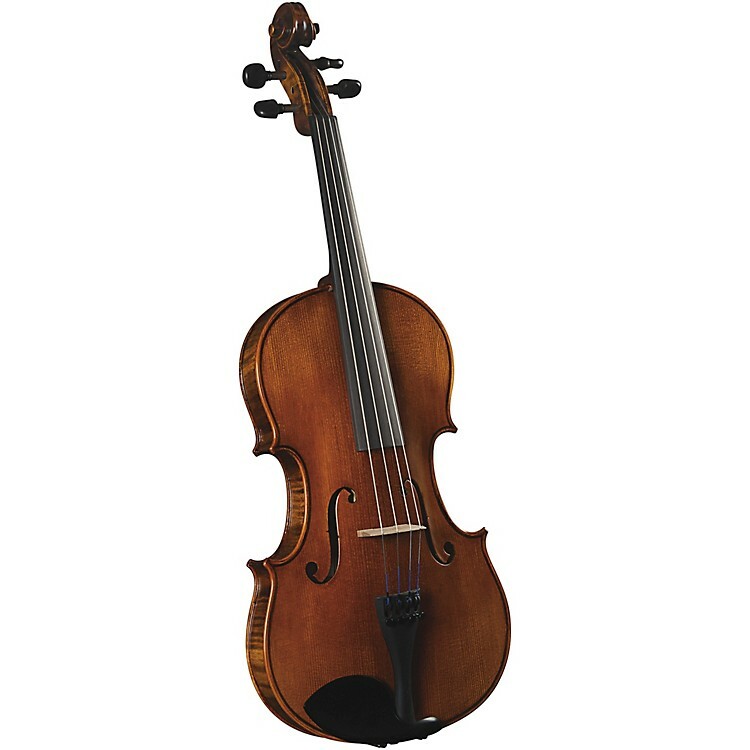 Cremona SVA-500 Premier Artist Viola Outfit 14 in. Premium solid tonewoods and an exceptional design make this a standout violin. The SVA-500 is an exquisitely crafted viola that is built for tone. The finest, selected tonewoods are carefully hand-carved and graduated by skilled luthiers. The result is a full, rich sound that will delight the advanced student. The same light build that makes the SVA-500 so comfortable and easy to hold, ensures a big sound, responding to each delicate touch of the bow. Tonal properties are further enhanced by the thin, transparent varnish and the finely cut bridge. Serious students will progress rapidly in their studies with a viola that truly inspires them to play. The orchestral player will find the instrument’s projection a great help in ensemble playing as will the quartet player and soloist. The splendid tonal qualities of the Cremona SVA-500 viola will please every advanced student adding to their artistic development. A violin to please advanced students and professionals alike—order soon.